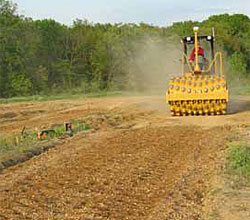 This project involved an extensive field program carried out to identify the relationships between soil engineering properties, as measured by various in situ devices, and the results of machine compaction monitoring using prototype compaction monitoring technology developed by Caterpillar Inc. Primary research tasks for this study include the following: (1) experimental testing and statistical analyses to evaluate machine power in terms of the engineering properties of the compacted soil (e.g., density, strength, stiffness) and (2) recommendations for using the compaction monitoring technology in practice. The compaction monitoring technology includes sensors that monitor the power consumption used to move the compaction machine, an on-board computer and display screen, and a GPS system to map the spatial location of the machine. 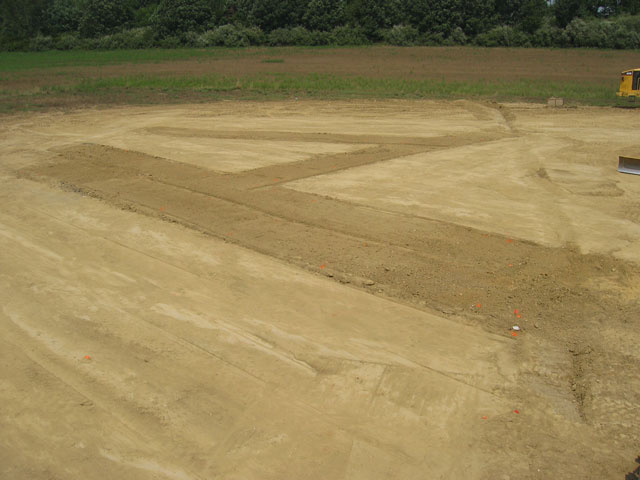 In situ soil density, strength, and stiffness data characterized the soil at various stages of compaction. For each test strip or test area, in situ soil properties were compared directly to machine power values to establish statistical relationships. Statistical models were developed to predict soil density, strength, and stiffness from the machine power values. Field data for multiple test strips were evaluated. The R2 correlation coefficient was generally used to assess the quality of the regressions. Strong correlations were observed between averaged machine power and field measurement data. The relationships are based on the compaction model derived from laboratory data. Correlation coefficients (R2) were consistently higher for thicker lifts than for thin lifts, indicating that the depth influencing machine power response exceeds the representative lift thickness encountered under field conditions. 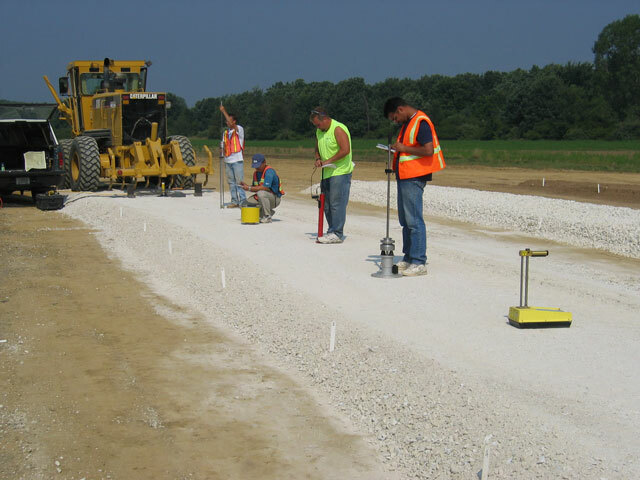 Caterpillar Inc. compaction monitoring technology also identified localized areas of an earthwork project with weak or poorly compacted soil. 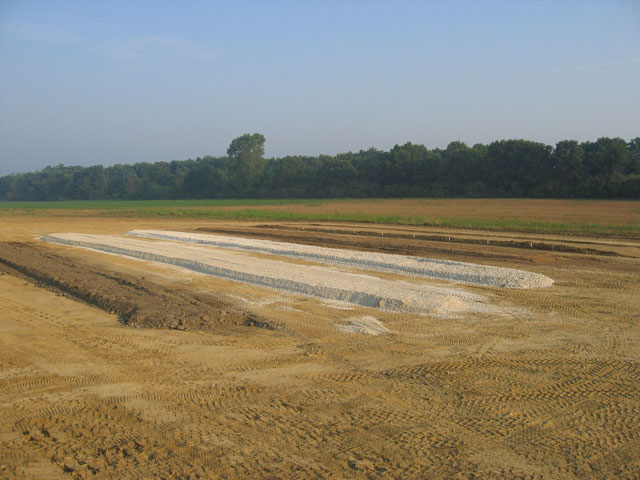 The soil properties at these locations were verified using in situ test devices. This report also documents the steps required to implement the compaction monitoring technology evaluated.